The resort Polaris Beach House is at the center of Barangay Saud at Pagudpud and the resort is short 25 meters away to Saud white beach. They offer comfortable rooms and all have air conditioning and ensuite bathroom with a television in the common room. They also have videoke for those who like that as well. You can sing and drink to the very early hours. The standard room is able to accommodate a minimum of 3 persons and has two double beds. The third floor veranda offers a great sunset viewing. You really should enjoy that. Polaris offer the service for those on a budget to buy their own food in the market and then have it cooked at the resort for PHP50. The secret is out and many foreign tourists are making the trip to Pagudpud and the world is now becoming enormously interested. A most respected and notable international travel writer graded Saud Beach as Number 1 on the list of the Top Ten best Asian Beaches. Like all best kept secrets its best to discover Pagudpud for yourself before all the other tourists find out. The most amazing part about Pagudpud is the excellent people, get unfeigned Ilocano hospitality and friendliness, not only the most outstanding beach in Asia but the friendliest place in Asia. Ilocos Norte is synonymous with warm tropical sunshine, indigo blue skies; the most gorgeous turquoise blue and crystal clear water and effervescent white sands. Does it sound too good to be true? It genuinely is that attractive. 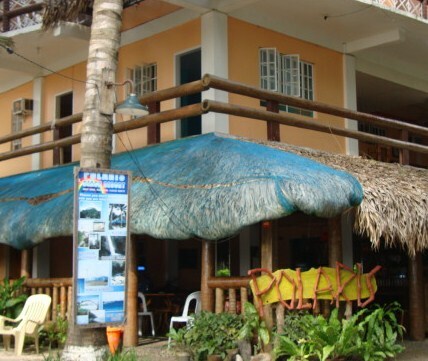 So come enjoy your stay at Polaris Beach House Resort in Pagudpud!